The United States will join Pacific ally Australia to build a naval base on Papua New Guinea's Manus Island, US Vice President Mike Pence said, amid a push by regional powers to lock in alliances and secure access to key infrastructure. 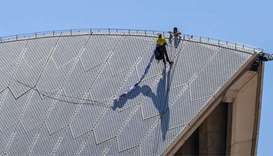 Australia declared the centre closed on October 31, shutting off water and electricity supplies following a Papua New Guinea Supreme Court ruling that the camp was unconstitutional. 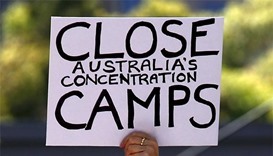 Around 600 refugees and asylum seekers have been living without food, water or electricity for more than a week inside the Manus refugee detention facility, which was shut down by Australia last week. 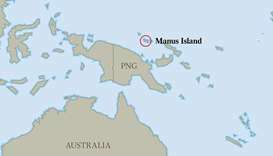 Canberra sends asylum-seekers who try to reach Australia by boat to facilities on Nauru in the Pacific and Papua New Guinea's Manus Island, where they are blocked from resettlement in Australia. 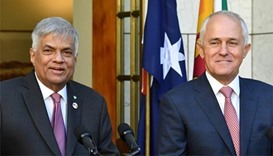 Sri Lankan Prime Minister Ranil Wickremesinghe said on Wednesday that failed asylum seekers held in Australian-run detention centres in the South Pacific will not face prosecution or harm if they return home. 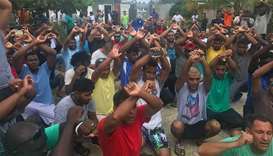 Australia and Papua New Guinea have agreed to close a controversial Australian-funded asylum seeker detention centre on Manus Island, although the ultimate fate of 800 refugees held in the camp remains unclear.